The Committee was briefed by its content advisor on the appointment process for the Public Protector set out in section 193 of the Constitution. The President has to appoint a Public Protector whenever it become necessary, for a non-renewable term of seven years, on the recommendation of the National Assembly (NA). The NA was in charge of initiating the appointment process by establishing and referring the nomination process to one of its Committees. The Committee would then nominate a candidate to the NA which would pass a resolution to recommend the candidate. The resolution had to be supported by at least 60% of NA members. A parliamentary legal advisor provided a legal interpretation of 'fit and proper person' to hold that office as stated in the Constitution and the Public Protector Act. It is a very stringent requirement, but it is not defined or described in the legislation. Fortunately, the courts had gone to great lengths to interpret the principle of fit and proper persons. Legal scholars had concluded that the principle served as a warranty to the public that the person occupying such a sensitive post would act ethically. The burden of proof of the attribute of a fit and proper person was vested in the applicant for the post. Reference was made to cases in which the principle of ‘fit and proper’ was addressed by the courts. From these, it was clear that the fit and proper requirement involved character screening of the person. In essence, it meant that the honesty, integrity and reliability of that person had to be interrogated to ensure that that person was fit and proper to fill the office. Members commented that there was the key issue of the role of civil society. Committee members had been circulated a letter from Corruption Watch, in which it asked to be involved in the appointment process and legislative provisions were noted that provided a place for civil society in the process depending on the discretion of the Committee; given the importance of the Public Protector in the eyes of the public. It was pointed out by a member that there had been a court judgment against a previous public protector for not doing his job and it was suggested the Committee get all judgments related to the office of the public protector to give them guidance on what had occurred in the past. Although some members felt that precedent allowed only for the public to nominate, others asserted that the Committee had a duty, despite past practices, to ensure there would be maximum participation by any person, institution, or organised formation that had an interest in the appointment of the Public Protector. Hence publishing the names of applicants and nominees, and inviting the public to comment would be immensely useful for the Committee. There was huge public interest in the process. It had to satisfy the expectation of the people, reassuring them that nothing was going to be done under the table. Reference was made to a similar public process when the Judicial Service Commission appointed judges. The Committee was in agreement that the full list of nominations/applications be published for the public to comment on but that publishing all the CVs would be too costly. The advert was finalised with 24 June as the closing date for nominations and applications. The programme was discussed and it was agreed that the short listing move to 11-13 July, and, due to elections, the interviews start from 10 August 2016. The Chairperson said it was a very important meeting because the Committee had to begin the process of identifying the most suitable person for the position of Public Protector. They had to ensure that the public was involved in the process of nominating suitable people. This meeting was primarily about looking at the advertisement and finalising the programme going forward. She noted she had requested a presentation from the Justice Cluster to present on the ‘fit and proper’ requirements, and other legislative matters relevant for the process. Ms Christine Silkstone, Content Adviser, Portfolio Committee on Justice and Correctional Services, explained that the Public Protector was a chapter 9 institution. Chapter 9 institutions had been established to support South Africa’s constitutional democracy and to act independently. Other countries had ombuds and national human rights institutions, but South Africa had gone a step further to establish these institutions within its Constitution, highlighting the importance of these institutions to South Africa’s constitutional democracy. The reason for this was that it had acknowledged the profound effect of the Apartheid government disrespect for the human rights of citizens, and these chapter 9 institutions were created to restore credibility in the eyes of the public and ensure that constitutional democracy flourished, to ensure there was a continued respect for the law, and the state became more open and responsive to its citizens. The Public Protector’s constitutional mandate was to ensure government’s accountability and to provide redress for maladministration and abuse of authority. To do this, Pubic Protector is expected to investigate; report on and to suggest remedial action for a wide range of wrongdoings in public administration. Ms Silkstone went through the powers given to the Public Protector in the Public Protector Act of 1994 which had since been amended, and the Executive Members Ethics Act of 1998 (see document). The President has to appoint the Public Protector whenever it become necessary, for a non-renewable term of seven years, on the recommendation of the National Assembly (NA). The NA was in charge of initiating the appointment process by establishing and referring the nomination process to one of its Committees. The Committee would then nominate a candidate to the NA which would pass a resolution to recommend the candidate. The resolution had to be supported by at least 60% of NA members. The involvement of civil society could be provided for in terms of section 59(1) of the Constitution which dealt with public involvement in legislative and other processes of Parliament of the National Assembly. Mr Nathi Mjenxane, Parliamentary Legal Advisor, said that the term ‘fit and proper’ person to occupy the post of the public protector appeared in section 193 of the Constitution and section 1 of the Public Protector Act. It was a very stringent requirement, but it was not defined or described in the legislation. Fortunately, courts had gone to great lengths to interpret the principle of fit and proper persons in the context of various professions, but mainly the legal profession. Legal scholars that interpreted the principle of ‘fit and proper person’ concluded that the principle served as a warranty to the public that the person occupying such a sensitive post would act ethically. The burden of proof of the attribute of a fit and proper person was vested in the applicant for the post. It was commonly accepted that a fit and proper person must show integrity, reliability, and honesty. These characteristics affected the relationship between the office concerned and the public. Reference was made to four cases in which the principle of ‘fit and proper’ was addressed by the courts. From these, it is clear that the fit and proper requirement involved character screening of the person. In essence, it meant that the honesty, integrity and reliability of that person had to be interrogated to ensure that that person was fit and proper to fill the office. The Committee would be called upon to objectively make a value judgment on whether a person was fit and proper to be the Public Protector. It was important to note that the value judgment would not be a subjective one, but rather an objective one. It required a consideration of the person’s qualifications and whether that person could perform his or her functions without fear, favour or prejudice. The final appointment of the Public Protector rested with the President. The Committee, through interviews, had the obligation to screen individuals who would be recommended for appointment, based on whether they were honest, had integrity, were reliable and were fit and proper to occupy the office of the Public Protector. Mr S Swart (ACDP) asked why the legal advisor's document had been marked confidential. He did not see a reason for it to be confidential but was interested to know why the legal opinion was confidential. in both briefings, there was the key issue of the role of civil society. In that regard, the committee members had all been circulated a letter from Corruption Watch. He was unsure of its status, but it had asked to be involved and certain provisions had been pointed out where there was a place for civil society depending on the discretion of the Committee; given the importance of the Public Protector in the eyes of the public. It was an issue that needed to be discussed. He said the Committee needed to have a broad discussion, because there were certain criteria, and they knew of certain public protectors and the relationships which had existed ‒ which had been hostile to a certain degree between the existing Public Protector and Parliament. How would the Committee address that going forward? It would also need to know there had been a court judgment against a previous public protector, Adv Mushwana, for not doing his job. Possibly the Committee needed to get all the judgments related to the office of the public protector to give them guidance as to what had occurred in the past. From the beginning of this process there was a lot that needed to be discussed. The next issue which the Committee would get into would be the programme which one hoped they could all agree upon. Adv G Breytenbach (DA) was concerned that no provision had been made on the programme for public participation. She thought that issue needed to be ventilated more. She was in support of public participation. The Chairperson replied that that was correct. Mr B Bongo (ANC) commented about public participation in terms of precedent. The Committee was not dealing with the appointment of the Public Protector for the first time as Parliament. Public participation was generally already covered, because Parliament had set up a multi-party committee constituted by the assembled MPs within the Committee; and they were the public representatives to deal with that matter. Participation in the main would be in the nomination process once the advert was out, and then the public would participate in terms of nominating. Otherwise the other matters were generally legislative matters on how the process was to run, but everything was already covered in the legislation. So from a legislation point of view, he did not understand how the public would participate, other than through the multi-party committee and the nomination process, which everyone would be entitled to participate in as the public. 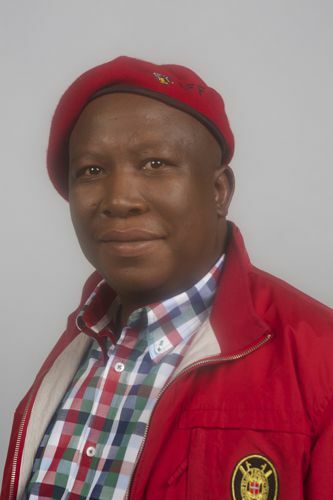 Mr J Malema (EFF) said he wondered why the Members deemed it fit to answer on behalf of the advisors who had presented. The time was for the advisors who could give the Committee guidance so that it could move from an informed point of view. The point on public participation needed to be clarified by the advisors as to whether anything was wrong with, and to what extent could there be involvement of public participation, beyond the traditional way of nomination. What else could the Committee do to broaden the participation of the people? Would it be wrong for the Committee to publish the CVs of the nominees so that the public could comment and make objections to the nominees if warranted? So that the Committee could move from an informed point of view and did not appoint people who had issues the Committee would not have been aware of. They could allow the public to help them arrive at the best candidate. That would help the Committee and Parliament. When they were elected as representatives, they assumed that they ate and slept on people’s behalf – which was wrong. The Chairperson said she had not received any correspondence from Corruption Watch although she was advised by the secretary that Corruption Watch would be writing to her but she had not received anything as yet. She had just received a package with the letter from Corruption Watch during the presentation, from the Secretariat and thus nothing had been processed yet in that regard. On the question about confidentiality, she agreed that the briefing document should not be marked confidential. All Committees of Parliament were public. The members of the public had to be part of the processes, and the processes would be transparent. As chairperson she was there to ensure that the process was as transparent as possible. She did not want notions that the process had been done in a non-transparent manner. Everyone, the members of the public, would be nominating within the prescripts of the law. Once nominations had been submitted, the Committee would then go through the nominations. On the issue of fit and proper, they had requested the Secretariat to bring someone to the proceedings to unpack the concept of fit and proper. Fit and proper tended to be interpreted differently by people in different professions. She thought it important for the Committee to have the relevant laws presented to them, which had been done. Ms Silkstone replied that on public participation, Mr Malema had been correct that the traditional way was through the nominations process and also ensuring the Committee meetings were open and there was proper communication of what happened in Committee meetings through press statements and so on. She could not say if it was right or wrong to release CVs for public comment. However, it would probably fall within section 59(1) and one of the issues the Committee would need to discuss was whether those CVs were confidential. Mr Mjenxane explained that his document had been marked confidential which emanated from the attorney-client privilege. The Chairperson had requested the document to be prepared for the Committee; she was termed the ‘client’. The document was termed confidential because it was for the Chairperson’s attention. Otherwise there was nothing confidential or hidden in the document. He said public participation was a legal requirement. It was however entirely up to the Members to establish how they would dispense with the constitutional obligation. In law there was absolutely no bar from publishing CVs. Adv Breytenbach added that there was the Doctors for Life court case judgment which strongly recommended public participation. Also there was the Report of the Ad Hoc Committee on the Review of Chapter 9 and Associated Institutions, which strongly recommended public participation, holding the view that public participation made the process that much more transparent and also allowed the applicant to act without fear, favour or prejudice, having been strongly scrutinised by all members of the public. Mr Swart stated that he appreciated that one normally followed precedents, but if they looked carefully at the provisions of section 193(5) and (6), there was a differentiation between the nomination and the recommendation process. Up until then, members of the public had nominated people that came before the Committee. The Committee could argue, and he would argue, that section 193(6) regarding the involvement of civil society in the recommendations process, which went beyond the nominations process, would be a strong legal argument to say there was a stronger role to play. That only referred to the Public Protector and the Auditor-General, whom the Committee knew had a high threshold of 60% approval. That would require a different process. That was why the Committee was urged in section 59(1)(a) to involve civil society in the recommendations process, that would involve public participation and television coverage as far as possible. He wanted the Committee to be cautious in this regard, because there was a clear distinction between those provisions on nominations and recommendations. 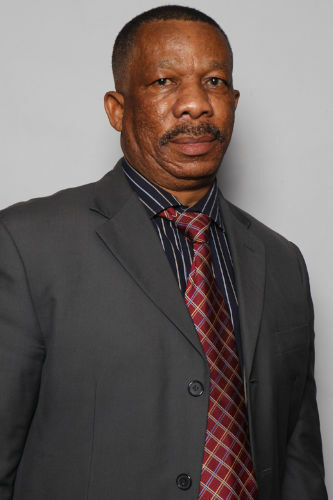 Mr A Masondo (ANC) said there was need for clarity when the Committee spoke about 'the public' – who was it speaking about and what kind of recommendations, after what process – this would have to be examined by the Committee and how would that take place? Otherwise they ran the risk of just talking about public participation as a slogan without any meaningful content. As arguments were put forward they had to be elaborated on and clarified as to what they in fact meant, and what was meant by the ‘so called public out there’. Even in instances where the Committee was speaking about the public, it was actually speaking about organised groupings and communities. In most instances the emphasis was on the organisations that had the capacity to make representations, fly from around the country into Cape Town. So the Committee needed to clarify that because 'the public' were in fact civil society organisations, and these were two different things. There was need for clarity. Mr Malema said he had not thought at this level there would be confusion on what public interest referred to. He thought the understanding was clear, from individuals to organised formations, how would they participate in the process of appointing the new Public Protector? As a member of the Judicial Service Commission (JSC), it received any form of inputs from any formation including individuals in this country about the suitability of certain individuals to be judges. That Commission looked at all of them, they paid attention to them, it looked at them in written form, and questioned those who had applied based on input from individuals and organised formations. He said the Committee had a duty, despite past practices, to ensure there was maximum participation by any person, institution, or organised formation that had an interest in the appointment of the Public Protector. As a democratic institution, they should never feel intimidated or irritated by such. Hence the question of publishing the CVs of those who had applied and been nominated, and inviting individual and organisations' comments on these each of the individuals. From there, the Committee could sit down and consider whatever documentation it would have received and arrive at recommending a certain person. Perhaps the Committee had pre-empted the Chairperson in giving a broad overview on the way forward for the appointment of the Public Protector. The Chairperson outlined the broad overview of the process moving forward. It was important to note that the term of the Public Protector ended on 19 October 2016. By the 31 August, the Committee was expected to have submitted their recommendations to the National Assembly. The ad hoc Committee was expected to have completed the entire process before the end of August 2016. They needed to say how they were going to break down the time and how much they were going to be involving the members of the public. As the process was a National Assembly one, it had to be remembered that public participation was legislated. That was why the process was going to be very transparent. Every member of the public had the right to nominate a person whom they deemed fit and proper. It was the Committee that had the responsibility to ensure that it put those nominees through the means test. Therefore, the Committee needed to define the means test of fit and proper. They had already been given a presentation; how were they going to measure reliability, those were the things they were going to have to agree upon. Over and above that, they were going to allow members of civil society to submit questions that they would like the Committee to ask the short-listed candidates. The process was going to be very transparent. There were not going to be ‘under carpet’ dealings in the process. They were subjecting the process to public participation, like all other Committees do in the parliamentary precinct. It was open to public scrutiny, because they were public representatives. In terms of whether they were going to be digressing from the traditional way of advertising or getting nominations, or going beyond just nominating, she wanted to open that discussion. She asked members to come up with suggestions so they could engage with those proposals because they had to be practical and functional and it had to be understood that the timeframes were very tight. Other than what Mr Malema was saying about going beyond the traditional way of getting public participation of the public through nominations, he had to concretely table his proposals so that they could be engaged on. If the Committee agreed as passed by the House, they could actually look into those matters, they would do so. If anyone of the Committee had proposals they should put those forward. She had communicated to the Secretariat that the Committee would have to discuss the modalities of public participation, as it was important. This was not only that they knew it was in the law and so forth, but she also thought all members had to comfortable that all members of the public were involved in the entire process. Ms P Van Damme (DA) stated that as a starting point before they decided what form of public participation they wanted, they needed to look at what had been done in 2009 when the current Public Protector was appointed, what that ad hoc Committee did when considering public participation, not that they were bound by what that Committee did - but it would be good to see that. She did not know if the Secretariat could let them know what had happened. At least they would be starting from a place of knowledge. Right now there were a lot of ideas in the air but they did not have the facts and how to improve on the process. Mr Malema stated that the first point of departure should be that they all knew that there was huge interest in this process. They had to satisfy the expectation of the people, reassuring them that nothing was going to be done under the table. It should be the most open and transparent process. He agreed with Ms Van Damme, on top of that traditional method applied in 2009, they could then ask what could be done to improve that process. This should not even be a point of conversation or difference. Every time people were encouraged to participate in a process that involved Parliament, it should bring excitement to them that they were getting as many as possible participating. He said that all that he was proposing was, civil society would nominate and make input, public would nominate and make input, all he was asking, and it should be a call of this Committee, that anyone who had an issue with a particular candidate should feel free to write to this Committee and raise those concerns, and this Committee would consider them. That was all he was asking. The Chairperson wanted to Committee to be systematic. Mr Malema had raised the issue of having the CVs being made public. She thought that would have to be discussed. On the suggestion about looking into what happened in the previous process, she asked the content advisor to assist by taking the Committee through what actually happened. If there were any gaps identified by that ad hoc Committee, then they could take it from there. Ms Silkstone replied that she was not involved with that particular committee at that. She would see if she could track down what happened. The Chairperson stated that they in fact had a member present who was part of that process, or in similar processes. 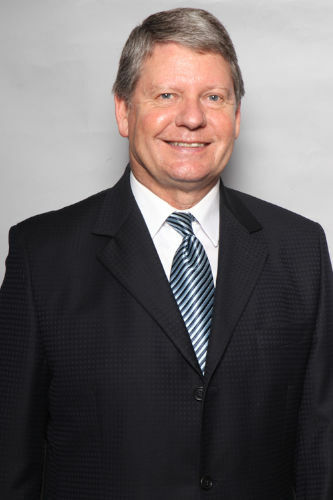 Mr N Koornhof (ANC) replied that he was unfortunately not involved with that process, but he was involved with the Auditor-General appointment, which was also a Chapter 9 appointment. He was also part of the Judicial Services Commission in the Fourth Parliament. He thought Mr Malema had given good guidance. They could not fault the JSC; it was an open and fair process. They had to start the process and at least get the nominations advertisement out and give good time for South Africa to nominate. Thereafter, the process of public participation would start. He thought, if someone put his name forward to be nominated, he would probably tell the public. It would be very difficult for the Committee to not make the process known to South Africa. Then as in the JSC, the public could be free to comment on that. He thought that was a very good process to follow. It was proven, it worked and they did get good judges. He thought it was a fair process, and he would support it. It was a good example, they should follow that, the public understood it, and there could not be any objections to it. They had to give reasonable time, and thereafter there would be the Secretariat that would do the shortlisting, then they would go into interviews and then they could decide how they sort out that. He had to make this point, there was no way, and public participation could never mean that the public would conduct the interviews. That would be the Committee's role to do the interviews, as with the JSC. The Chairperson stated that members of the public might have brilliant questions which they thought the Committee should consider. Let them put those forward, and the Committee would look at the submissions that they made, but they could not subrogate their responsibility to interview the candidates. They had to do that job themselves. But the way they did it, it was going to be transparent. She heard that Mr Koornhof was supporting Mr Malema in making sure they would make this a transparent process, and as much as possible, if they ended up with the wrong candidate, then it should be the Committee’s collective responsibility, together with the members of society, because of public participation. Over and above that, they had to meet specific criteria in terms of qualifications and experience, as described in the law, so that they did not have problems. That was basis from which they were starting this process. Public participation must start now, it was not going to start when they were interviewing. It started with making nominations of appropriate fit and proper people for the position. Mr Swart thought they were making positive progress because a lot of what was covered was mentioned in the letter from Corruption Watch, where they asked for CVs to be accessed, so he would support Mr Malema and Mr Koornhof that they allowed comments to come in. But for the nomination process and the adverts to be posted, there is urgency. They had to ensure there was sufficient time for responses to that. Then one could add public participation by adding live television coverage of the process on the parliamentary channel, or other channels if possible, so that people felt really involved in the process. They had made a lot of progress in terms of nominations, but he would like the Chairperson to comment on the programme that she was setting out. That was the key issue. They all had elections at this stage, but this was an important process with the proposed end date of 23 August. They should aim to finalise the process then, but if there was a reason to extend, they needed to discuss that flexibility now. Their focus was on elections, yet so much of the Committee's attention was going to be in July, with the short listing and interviews. However, they still had 23 August to 19 October. It was only a National Assembly, not NCOP process which helped because they could get a motion through quite quickly. He appreciated that from the Public Protector’s side, she would want to have a hand-over period, and that was probably what was envisaged, to not have the person appointed at the last minute. But they needed to know there was some flexibility and the ad hoc committee could be extended if necessary. The Chairperson stated that she was a technocrat and when she was given a timeframe, she wanted to stick to that. She wanted to stick to the timeframe that they had been given. Obviously he had outlined a very critical process. It was important. When they appointed a person, that person still had to give notice wherever that person was. It was 30 days or one calendar month notice. That also had to be taken into account. She wanted members to decide if they were in agreement about the advert running for three weeks with 24 June as the closing date for nominations. Mr Malema replied that there was a general agreement. He firstly wanted to ensure that they agreed on principles before agreeing on timeframes. There must be a period for nominations, and everyone agreed, and the public gave inputs in the form of nominations, followed by a closing date. After the closing date, he wanted to propose that there be a period for comments and objections. Immediately after the nominations process, they had to publish the names of people nominated, their CV should be accessible on the website or something. There should be that week where people are allowed to comment and object. An objection would not automatically mean a person would fall away. When that person came for the interview, that objection would be put before them, that someone did not agree that they were a suitable person to be Public Protector, and what was their response. He told Mr Bongo that he would appreciate those comments a lot. For most of these applicants, the reality was that the Committee would know them from their CV only, but if you gave other people a chance to comment about them, you might realise that you were dealing with a completely different person from the one on the CV. They dealt with that all the time in the JSC; and most of the time it was comments they received from the public. After that, they could interview and then make recommendations. He said that although the Chairperson was a technocrat, she decided to abandon those other responsibilities and become a politician and therefore she had to realise that in the political agenda, that during election time, they had a responsibility to run elections, and they had a responsibility to run this programme as well. In deciding what happened, he asked the Chairperson to take into account that they found themselves in a very interesting period in their political calendar. He did not mind the length of the notice period, three or four weeks, anything was fine with him; this would increase and maximise public participation. Mr Bongo accepted the three-week nomination period, he thought it was a sufficient period for the public to make nominations. One thing he wanted members to understand and appreciate was that the process of the appointment of the Public Protector, unlike other processes, was a process prescribed by legislation, on what had to be done. Mr Malema would appreciate that if legislation wanted them to publicise for comments, legislation would have directed so. This process was already a public process, because Parliament had set up a multi-party committee, composed of all of them, that alone was sure to enhance public participation in itself. The public was also going to nominate. They would put out an advert calling for anyone to nominate. It was common cause that if anyone had a problem and was not fit and proper, they would raise an objection. When they were doing the information regulator appointments, some attorneys wrote and objected to a certain person. It was in the nature of this process. The fact was that they were going to say that everyone could nominate, and as a multi-party committee they would sit down and apply their minds. There was no need to overemphasise that CVs had to be published. It was common knowledge that if a person was nominated or applied, the CV would already be in the public domain. Three weeks for the nomination process would be fine. Mr Bongo said that his only contention was the 19 to 23 July interview period was before the elections. He thought they should put that after elections, perhaps have 10 August as the date, so that they allow the process of elections to run properly. Other than that, they would engage in the process. The interviews would be live. They would discuss as a multi-party committee what had to be asked. If the public wanted to raise issues or questions about the applicant, they could do so because it was in the nature of the process to do so. He suggested they adopt the programme but could they change the interview dates from 19 to 23 July to 10 August. By that time they would have had sufficient time to engage with the interviewing process. Any candidate who came would be scrutinised heavily. On the principle of ‘fit and proper’, he was happy that it had been clarified what exactly was fit and proper. There was case law addressing this. He thought they should adopt the programme. The Chairperson stated that Mr Bongo was proposing that interviews take place on 10 August after the elections. She was happy with that, however, they should try to be systematic. First of all, she wanted to know whether there were any objections about advertising for three weeks. Mr Swart did not have any objections, but also asked about advertising on radio. Maybe it could be discussed on the radio, just to be aware the process was happening. A lot of people may not read the newspapers over the next few weeks. But he supported the three-week period. The Chairperson understood that the Secretariat was checking into that and she would ensure that was undertaken. So members were in agreement for a three-week nomination period. There was also another proposal, she was not sure if members would like to see those nominations before they released them for public scrutiny, they did not have to? Then that was what would happen. They needed to come back though. They needed to set timeframes for public comments and objections. They needed to allocate time for that before they came back for the short listing. Prior to the interviewing, there was the short listing. They would not be able to interview everyone. She looked at 6-7 July as the dates for short listing of candidates. The Chairperson thought that they were all in agreement with this process. If there was anything that came up, she would let them know about it. She agreed that they should allow more time for the administration, because they needed to capture the information of everyone that had applied. It was important to do that. In the event they had lots of applications, they obviously had to put the cost factor in there. She told Mr Malema that although she was a politician now, the technocrat still lingered with her, so cost, cost, cost. They would have to look at that as well, but they would not do that at the expense of public participation. She asked the Committee to look at the advert and see whether they were happy with it. Mr Swart thought there was a step missing in the programme. From the point of closing of nominations, how would the public know who had been nominated in order to comment? The next step would be for the Secretariat to advertise the names and CVs before they met. It was usually at the point of discussing the candidates that they would need the comments. That was the JSC model, so at some point the members of public were going to need a list of names or CVs or something along those lines. The Chairperson asked if Mr Swart had a specific suggestion. Mr Swart suggested that as soon as possible after the closing date for nominations, they needed to advertise the list of names so that the public knew these were the nominations and they could comment on them. They should publish the list of names so the public were aware of who had been nominated because to publish all the CVs would be very costly. Mr Masondo requested that they noted the proposals that had been made and give the Chairperson a broad mandate to adjust the programme accordingly. On the advertising of names, they should look at the suitability of that, and then when the moment came, they do it. Mr Malema agreed that they should not do the CVs. It was a simple thing. Once the nominations had closed, all the names would be compiled and put on the website, and a press statement could be made to direct people to the website, and those interested could visit the website. The names of nominated people could be found there. If the public had an objection or any comment to make, they could submit that to the following address. Then when the CVs were being prepared, the comments could be linked. The administrators of the website or the Secretariat could attach whatever was attached to the specific candidate. So when the Committee moved from the short list, it moved from an informed position. Costs could be minimised like that. They should not move beyond their budget and create the wrong impression. The Chairperson reminded members that they had the parliamentary paper, Announcements, Tabling and Committee Reports (ATC), so that could also be used to publish the names. They would also ensure that as much as possible the process was open. She asked members to approve the advert. Ms M Mothapo (ANC) stated that the advert looked fine and was commensurate with the provisions of the legislation. Mr Swart noted that the closing date was not in the advert. The Chairperson explained that the date was not there because they were to finalise that today. She was going to recommend three weeks. There was another important matter. They had only been speaking about nominations, but they should also accept applications. People will be nominated but other people may wish to apply, without being nominated, if they feel they are fit and proper and want to apply. Ms Mothapo asked whether the law made allowance for applications or only for nominations. Ms Silkstone replied that nowhere in the Act or the Constitution did it say the Committee nominated; it did not say how the CVs specifically arrived at the Committee. She did not think there was anything stopping applications. The Chairperson stated that their advert had to be specific; it should state nominations or applications, so that people did not feel that they needed to be nominated by someone. This Committee was the one that nominated. Their nomination would go to the National Assembly. So there was nothing necessarily wrong in law for someone to put forward an application. The National Assembly would be voting on the nomination from the Committee, and the President would make the appointment. However, they had to remember that it needed 60% approval by the National Assembly, which pointed to how important this position was. The Chairperson said that they would have to include in the advert that the CVs would be subject to public scrutiny, since this was a public process. She concluded that they had done pretty well. They had been able to finish the business of the day. She thanked everyone and appealed to everyone that this process was now beginning. The advert was going into the newspapers this week and they wanted to ensure that all the best people for the job applied so they could get the best person as the Public Protector. The current Public Protector had made the office well known and people knew this was an important office and they had to get the right person for the job.